S yellow. 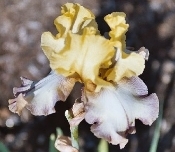 F white with yellow to brown edge. Purple center stripe. Yellow B.